A book that takes the reader into unusual places to meet unusual people! At the age of seventeen, Benjamin Patton made a decision to not join the U.S. Army. For most teenagers, it is an easy decision; not so if you are the grandson of General George S. Patton Jr, a hero of World War II and the son of General George S. Patton IV. Benjamin has a family military history that stretches back to the Civil War. In many ways, this book is the expiation of Benjamin's guilt for living a life outside the family trade, and an affirmation that life outside of the military can be as meaningful if one uses it to praise its military roots. As a result, this book is hard to classify. It is part history, part reminiscence, there is some biography thrown in, and, of course, autobiography. You will find no Patton family skeletons here. All people in the book are presented with polished brass and at their Sunday best. What the book does quite nicely is take the reader into unusual places to meet unusual people. That, in fact, is what keeps this book from becoming a puff piece for the Patton family. The first section deals with family history, and the second section with correspondence between George Jr. and George the IV during World War II. Junior is busy winning the war in Europe, and George the IV is studying hard at West Point. Dad's letters are full of fatherly advice for his son, and the son's letters are full of anxiety about the war ending before he can fight. I think this section is meant to show the human side of the WWII general or at least dispel the image of him branded into our collective memory by George C. Scott in the movie, Patton. You get the impression that he was loved by the people who worked directly for him, but I know for a fact that this love did not extend to the soldiers in his Army. My father, an Infantry sergeant, who fought for Patton on his race across France and Germany had a different view. He called him 'Old Guts and Glory, our guts and his glory'. The third section of the book is by far the best. It deals with the remarkable people that had an impact on the family. We get a short biography of General Creighton Abrams, a masterful general who worked for George Jr during World War II and who shaped the career of George the IV. Manfred Rommel is covered and the relationship that developed between Rommel's son and George the IV. We also meet Sammy Choi, a Korean Horatio Alger, Julius Becton, one of the first black generals in the US Army, and Vera Duss, an Abbess. 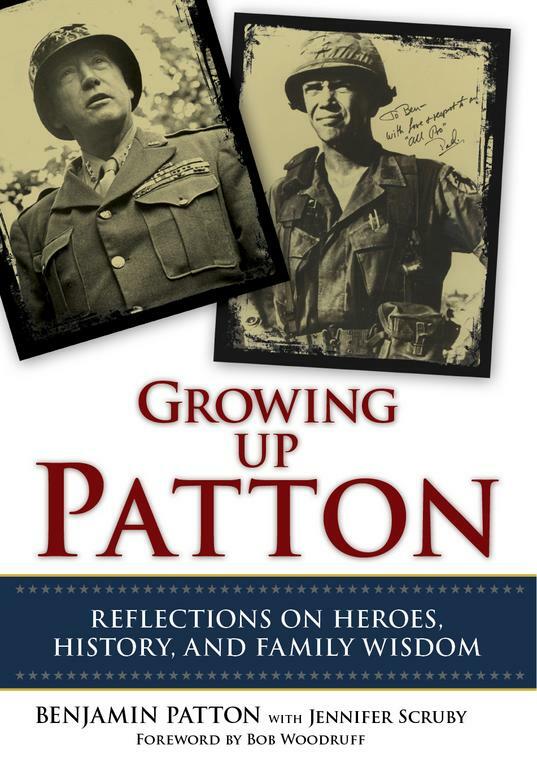 In the next section, Benjamin Patton covers young commanders shaped by his father who are the future of the US Army. A nod is given to the spiritual leaders who worked with his father, and the next to last section is devoted to his mother and the correspondence between her and his father during his Vietnam assignments. The final section deals with Benjamin's brother, George. If you're keeping count, that is George the V, who is mentally challenged. I'm not sure what the totality of the book is. I found parts of it compelling. There were certainly parts of it that allowed me to peak into different ways of life and those parts were fun, but it is hard to escape the fact that the book is a chimera. The parts don't seem to fit together into a cogent whole. This final question is who should read this book. I suppose if you're a student of military history, this book would be interesting. As it passes through the generations the reader can see how the Army has morphed from the fighting force of WWII to what it is today. I would also read it for serendipity. One of my father's favorite stories about WWII was how on Christmas Eve during the Battle of the Bulge, he and his men came upon a banquet set out for German officers in a church. He remembers that the food was still warm and smelled wonderful although no one would touch anything because it might be booby trapped. In the chapter on Creighton Abrams, Benjamin Patton describes how Abrams broke through to the town of Bastogne by using a little used side road. He surprised German officers along the way as they were sitting down to Christmas Eve dinner. I now know where my father was on Christmas Eve, 1944. He was at the tip of the spear of the relief column sent to relieve Bastogne. The odd part is that I found it in a book by another man who is searching for his father and grandfather.